Pick Me Up is an awesome arcade game developed by tastypill. You will be a ride share driver in the game. Pick up and drop off customers to earn money and level up. Explore the world and discover new monuments. Tap and hold to drive, release to brake. 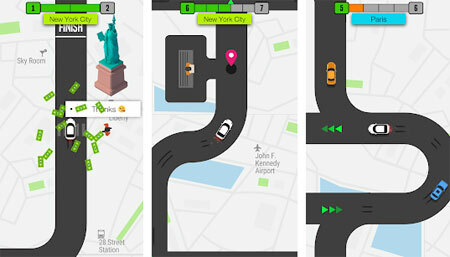 Collect cash, unlock cool cars, and avoid crashing. If you get stuck in the game, check out the video walkthrough and gameplay for the game. This entry was posted in Android and tagged Pick Me Up Cheats, Pick Me Up Gameplay, Pick Me Up Guide, Pick Me Up Strategy, Pick Me Up Walkthrough by Marvin Tang. Bookmark the permalink.